180XL 031 Timing Belt. 18 inch length, 90 teeth, 5/16 inch width. 180XL 031 Bando USA Synchronous Timing Belt. 18 inch length OC, 90 Teeth, 5/16 inch width. 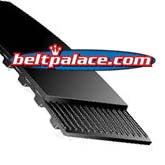 Gear belt for many types of machines and tools. 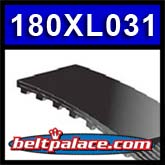 180XL-031 Synchronous Timing Belt.